The patriotic month is here and with it the opportunity to celebrate Mexican Independence Day with your family. Gather all your loved ones and organize a Mexican night for September 15th to shout Viva Mexico! 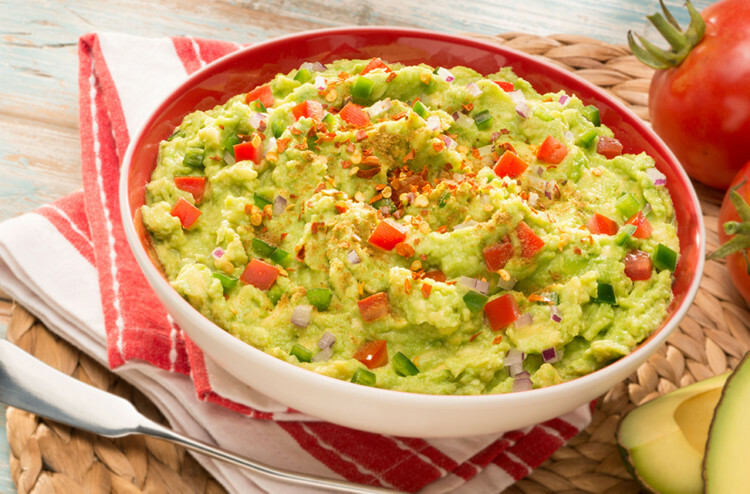 Since no party is complete without appetizers or traditional dishes, we have prepared a selection of quick and delicious recipes based off one of the most Mexican ingredients: Avocados From Mexico. Cover your table in green, white, and red with this delicious appetizer that is delicious and easy to make. Here’s what you’ll need: 2 Avocados From Mexico, 1 tomato, 1 onion, 1 bunch of cilantro, olive oil, jalapeño or serrano peppers, a hint of lime juice, grated fresh cheese, salt, and pepper. To prepare, mash the avocados to desired consistency and mix with the rest of the ingredients. Top with a line of cubed tomato pieces and shredded mozzarella cheese to decorate the guacamole like the Mexican flag. Flautas, which some people call “golden tacos” given their long shape, are a traditional Mexican dish that will add a crunchy note to your gathering. You will need: chicken breasts, 1 Avocado From Mexico, corn tortillas, frying oil, cilantro, lime, sour cream, olive oil, salt and pepper. After cooking the chicken, shred it. Put together the flautas by rolling some chicken in each tortilla. (Pro tip: To maintain its shape, you can hold it with a toothpick.) To make the sauce, blend the avocados, 1 tablespoon of olive oil, lime juice, and ½ cup of sour cream. Once your sauce is done, heat the frying oil in a pan and fry the flautas until they are golden brown. Let them sit on a plate with paper towel and then serve with a generous tablespoon of avocado sauce. Just like avocados, peppers are considered fruits. Yes, this spicy ingredient, very common in Mexican dishes is technically a fruit, since it contains the same seeds as the plant. For this “fruity” dish, you only need poblano peppers, Avocados From Mexico, canned tuna in water, onion, tomato, oregano, salt, and pepper. To prepare, grill the peppers for a couple of minutes until they are well toasted. Then, put them in a plastic bag and close it. Once they have cooled down, remove the skin and the seeds. For the filling, empty and drain the tuna. Finely chop the onion and tomato and fry them with a bit of oil. Incorporate the oregano, salt and pepper. Then, mix the mashed avocado pulp, tuna, and the rest of the ingredients. Fill each pepper.